PHILADELPHIA (WPVI) -- With temperatures dipping and wind chills reaching below freezing levels, most people are staying indoors to stay warm. 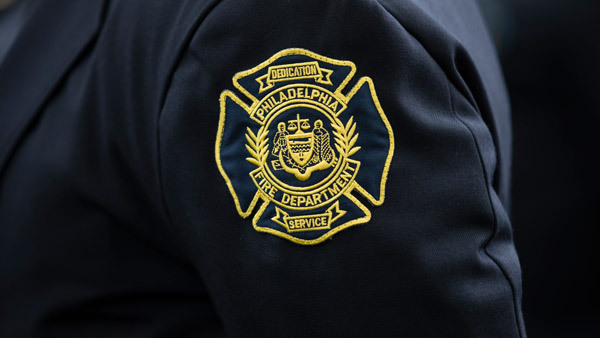 The Philadelphia Fire Department has some important safety tips for the winter season, so you not only stay warm, but stay safe. Have a working smoke alarm on every level of your home. If you haven't checked your batteries recently, check them now. Have a CO alarm within 15 feet of each sleeping area of your home. Never use gas or electric ranges and ovens to heat your home. Keep combustible materials such as newspapers, furniture or clothes at least 3 feet (36 inches) away from portable heaters. Never place portable heaters at the bottom of the stairway. This will block the escape route in the event of a fire. For portable electric heaters, check cords for cracks, breaks or loose connections. Never overload electrical sockets or use power strips! Use only approved K-1 kerosene, never gasoline! Never fill or refill kerosene heaters indoors or while hot. Never store kerosene or other ignitable liquids indoors. Clean and/or replace old wicks once a year. Know how to get out of your home in case of emergencies. Ensure windows and doors are in working order. Make sure everyone in your home knows what to do in case of an emergency. Never leave children alone in the home, even for a short period of time. Avoid trying to thaw frozen pipes with a blow torch or other open flame. Get help from a neighbor. Use hot water or a device specifically designed for thawing pipes. "Take Smoking Outside." Periods of cold weather are not a reason to change this rule. Remember your commitment to fire safety. Now is not the time to relax or be careless with fire. In fact, special care should be taken around fire during freezing temperatures. Contact PGW at (215) 684-6100 for information regarding the Low Income Home Energy Assistance Program (LIHEAP). Remmber you Should Call 911 In Case of emergency. For non-emergencies or questions regarding cold weather issues, you should call 311. Smoke alarms are available through the Smoke Alarm Hotline at 215-686-1176. City of Philadelphia Café Shelters Overnight drop-in centers for homeless people to get out of the cold for the night. Each Café is open every night during the winter from 10:00 p.m. to 6:00 a.m.